From short bar to bib, our range of personalised aprons is here to give you the best options for your business. 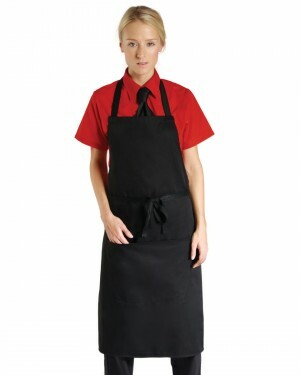 Make your staff look sharp with the ideal work uniform and custom aprons. Not sure which printed aprons to get? Then, get in touch! One of our friendly advisors will help you find the perfect one! And when you are ready to take the next step, get a quote! Our wide range of personalised aprons only offers the best and highest quality aprons so that you don’t have to search endlessly to find the one that you want. At Printsome we have only high quality embroidered polo shirts, waistcoats and embroidered aprons so that you can find also custom aprons that suit your business. What type of printed aprons are you looking for? 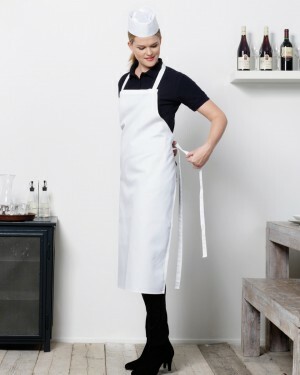 Whether you are looking for cotton bib aprons or aprons with pockets, we handpicked our selection to offer you varying options that are perfect for everyone. If you are considering personalised aprons as work uniforms, our array of aprons is perfect to have your logo embroidered onto them or have a design nicely printed either with DTG printing, or any other of the printing techniques we work with. Best thing of the most common techniques? They are perfect for promotional aprons, and as well as with bulk T-shirt Printing, they allow you to print your custom aprons in bulk. Having doubts? Don’t worry! Printsome is an online T-shirt printing agency that came to the market to make things easier for anyone looking for promotional clothing all around the UK. Garment printing is becoming easier thanks to our advances in delivering across the UK from London to Glasgow and Liverpool to Belfast. We have a hand picked catalogue of personalised T-shirts, hoodies, vest tops, sportswear, personalised aprons and more ready to be customised by event agencies or cooking businesses like yours. How do we do things easier for you? In-house our friendly, patient and lovely team of printing experts is always giving advice on what’s better depending on your needs and your budget. Because it is not the same to print personalised hoodies than personalised aprons. In your case, whether we use embroidery or screen prints, all depends on the design that you want to have on the aprons. If it’s a small business logo that isn’t too complex, then we would recommend getting embroidery since it is the most durable technique and gives your design a nice finish. Also, from our experience with vinyl T-shirt printing, we can say that on aprons could be a good option as well. On the other hand, with more complex designs, we would recommend using screen printing or DTG printing, as they allow the design to have more detail and be cover a wider area. But still remember, no matter what you design is, our advisors will recommend which printing technique is most suitable for you and your aprons. Go ahead with printing those aprons you have in mind. It is what tells the world you have the best chef, restaurant, or catering. In addition, aprons are helpful when grilling, carpentry, and gardening. They have the pockets with the perfect size for instruments and everything the chefs and kitchen staff might need. The only thing left to complement your cooking skills is a good apron that reflects your brand. Nothing more practical and professional looking for your guests. 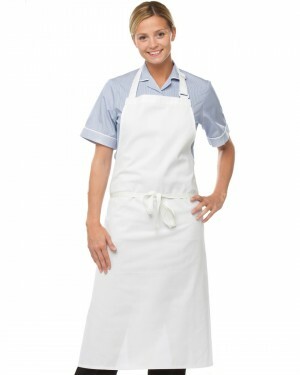 At Printsome we offer top quality embroidered and printed aprons with two different delivery options. For when you are in a hurry we have designed the Express Delivery option (2-4 days delivery), and if you can wait a bit more, the Standard option will be perfect for you (5-10 days delivery). For any other question, or if you are ready to order, remember we will be happy to help you!